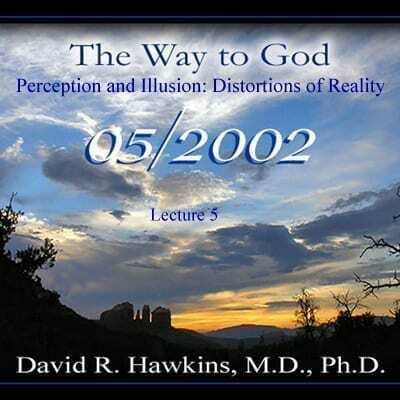 Join Dr. Hawkins in “Perception and Illusion: Distortions of Reality” as he speaks on context versus content and how the truth becomes distorted. He explains how the ego functions in society and that the world out there is a projection of what is within us. He confirms that everything is happening of its own and everything is perfect right now. Dr. Hawkins also discusses quantum mechanics and how what you hold in mind tends to manifest. In addition, he talks about why people don’t change even after hearing spiritual truths and how to alleviate this problem. All this and much more! Also suggested: Map of Consciousness or a selection from one of Dr. Hawkins’ books for further explanation of the levels of consciousness.